Aries is the first sign of the zodiac and also occurs on the first day of spring. 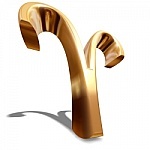 Aries people are energetic, fun to be around and always seem to be responsible for people having a good time. 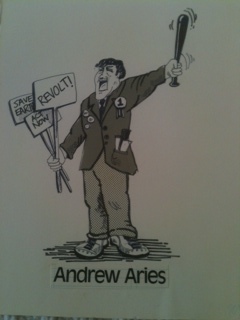 You will often find many Aries people at parties full of energy and getting the party in full swing. Aries always like to be first at everything from being in line to being first to discover something new and exciting. They have a strong egos and like to be recognized for their abilities and talents. The ruling planet of Aries is Mars. Mars is fire and energy. The symbol of Aries is the Ram. When you think of the ram you can conjure a picture of someone butting heads. Well, sometimes Aries have been known to forge ahead without planning. The color for Aries is fitting-Red and other shades of red to include pink, crimson and burgundy. The gemstones are rubies and emeralds. 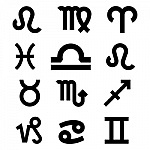 In Astrology each sign is separated into three parts referred to as decans. If your birth took place during the first ten days of any sign you will display stronger traits of that particular sign. 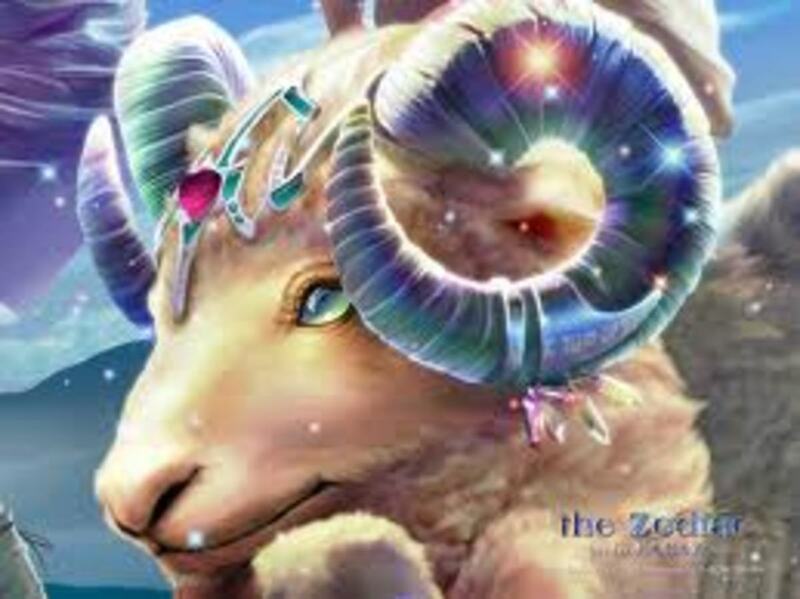 If you were born during the first ten days of Aries you will display strong Aries characteristics. 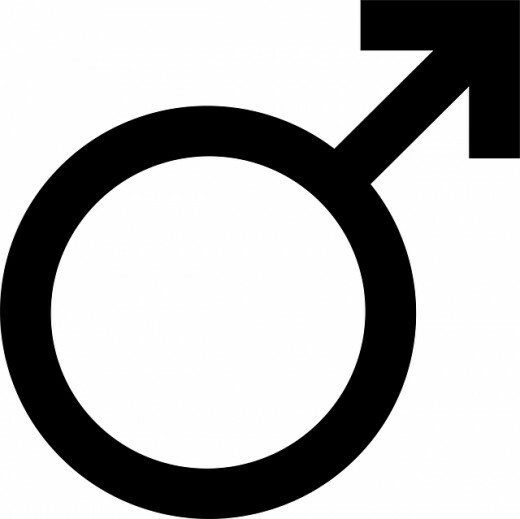 Being influenced by the planet Mars you are particularly headstrong and often speak out of turn. You are quick to anger but quick to forgive. You have the ability to get people motivated and excited about almost anything. Though you have a strong ego, hurting another individual is never a purposeful act. Patience is not one of your virtues, and when people react slowly you can jump on the bandwagon and show your displeasure. Though very energetic, you do not always have a lot of endurance, but your enthusiasm makes up for this deficit. 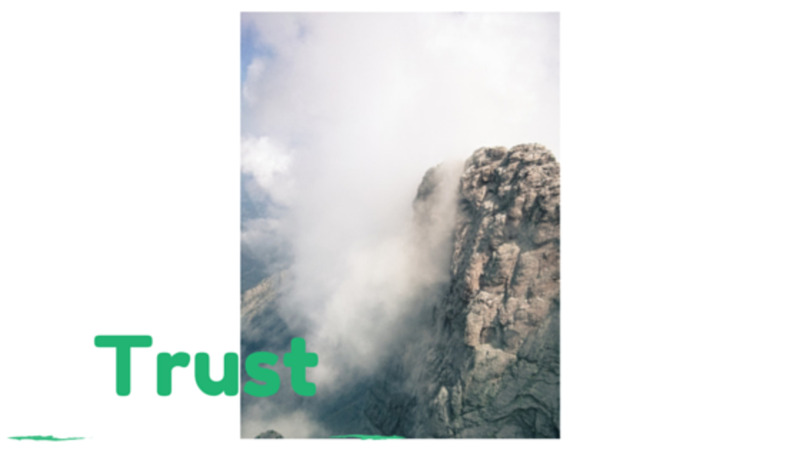 You can start many projects, but also lose enthusiasm before completing. You are your own best cheering section, and staying motivated is your biggest challenge. If born between March 31-April 9 you have a strong influence from the zodiac sign of Leo and its ruler-The Sun. You have a sense of responsibility to yourself and others. Doing the right thing is important to you. You are not nearly as impetuous and forthcoming as other Aries people. Born with a strong ego and principles, you can accept most challenges in life with great spirit. Born during these dates, you are far more patient than other Aries, but you are armed with a strong ego. Sensitive and tender feelings are often part of this personality. However, rarely do you show that side of yourself. There is a strong need for approval from others and you often depend on that for your well being. Success in business is something you seem to accomplish easily, and you do have a gift for making people feel very important. If you were born between these dates you have a strong influence from Sagittarius and its ruling planet of Jupiter. Oddly enough you are even more impetuous than the stronger Aries personality. You enjoy being original and first to come up with unique ideas in your personal life and business life. You are extremely independent, and in relationships your friends and partners need to understand this facet of your personality. You are a giving friend to a degree, but it has to work into your agenda, and are often happy taking off by yourself. You often feel that your personal philosophy is the way to go, and often do not listen to advice from others. You love travel and can often find yourself changing residence often. You are most definitely a fun person to be with, and people gravitate towards you with your never ending high spirit. Do you have a close friend or relative who is an Aries? You have a moon sign and it represents your emotional personality. The moon sign will change many characteristics of your sun sign. Who are you most compatible with in love? Find out by checking out your moon sign here. Love is going to happen at anytime, but fun to know your best sign. Each moon sign changes the personality of the sun sign. The characteristics of each sign will change or be modified depending on the sign of the moon. Each zodiac sign has certain attributes making them more suitable for certain professions and jobs. Check your sign out and see how it fits. I am Aries in the third Decan, and can't help smiling at the description of myself in here. Every word so true! An engaging hub! Here you described my father to a T. He was born on March 24th. Yes, he is extremely energetic and highly motivated. I like your suggestion that both of you and Suzie write a book about makeup for each zodiac sign. Cool idea! Well-done! I believe in Astrology there is no cusp you are one sign or another..actually you are ha lot of Sagittarius influence being born at the end of the sign. Indian chief. I am aries and kind of cusp born on 19th so i understand I got different forces pulling me. Mama Kim 8 ,,,An Aries...Not every Aries is the same..there is more in your chart. Thanks for dropping by and all the votes. Oh wow... yup I'm an aries ^_^ Though I'd say I'm slower to anger and have great patience when it comes to people... but for other things-no. Great hub, voting a bunch! Interesting. I don't think I know anyone who is an Aries. I'm going to have to think about my friends and see who might fit the bill. eiddwen...aka Eddy: Thank you so much...Votes especially and always a pleasure to see you. Another wonderful read carol.Thank you so much for sharing. grandmapearl if your best friend birthday is March 16, she's an Pisces not an Aries.. Thank you pearl...For sharing all this..I so appreciate...And thank you for votes. Thank you so much and also for passing it one...Thanks for all the support. mts1008 Thank you and glad you enjoyed reading. Thank you sholland10..Love when the shoe fits... Thanks for votes and shares. Monas1418....Thank you for stopping by and Iam so glad it all fits. rajan I so appreciate your support as always..and sometimes it is difficult to stay with things until the flower blooms so to speak. Thanks Rajan...means a lot to me your friendship and kindness. Voted up and interesting. Love these informative hubs on astrology. Passing this on. Very interesting history! I had to laugh when I read your description of an Aries. You described my brother to the T! LOL His birthday is April 8th, and he most definitely is the life of the party. Very interesting info. Though right now, I'm not able to recollect anyone I know who's an Aries. But I gather from Suzie's comments that the description of a person born to this sign is spot on. Well done! I agree with Bill that you need to dive in your niche head on. Also, if this combination of diet, beauty and astrology works out it will create waves. Voted up, useful, interesting and shared. me april 14th OMG!! all the way.. I swear I beat to my own drum..LOL!! I never understood as to why?? I know now!! I'm very headstrong and think for myself which has caused problems for me in the past, Independent for me is a state of mind..Thanks nice hub!! thank you Breakfast pop for comments and votes and also for keeping me informed daily what is going on in that world east. I am Aries, March 23, to be exact. Now I know why I sometimes walk into doors when I am excited! Voted up, interesting and awesome. Brilliant my husband ws born in between these dates so that is where his strengths come from you certainly know what put out here in these zodiac signs and such an informative Hub. Voted up! Thanks Bill..for visiting and votes and shares...Aries are a fun bunch for sure. Wow Bill...I just got my blog up and running today..Needs some work and I am slow to promote until I am satisfied. You are so kind and if you think you might have made my day today my friend..You DID!!! Build it and they will come. How about a website and blog? Let's get you out in the world so people can see more of you. Come on, Carol! I believe in this niche and I believe in your knowledge. Your on Carol, I'm game if you are! Thank you Suzie HQ... still think we need to write a book or something for hairdoes and makeup and beauty routines for each sign of the zodiac. Thanks for votes,shares, tweets and mostly your wonderful support.